Behind the invention of Speedball is an interesting story that occurred in the early sixties of the last century, particularly in 1960 when a young boy at the age of ten named / Hussein Mohammed Lotfy who was a junior tennis player coached by his father Mr.Mohammed Lotfy. The father noticed that the tennis balls which were broken in his son’s training, when dropped from a distance from the ground bounce back in a similar way and for a nearly the same height as the undamaged balls, hence he got the idea that if he ties the tennis ball by a thread and this thread is allowed to loop around a metal pole, his son can practice hitting the ball with the tennis racket without having to go a long way to get the ball back, Hussein started to practice in the backyard of their house and shortly after this the idea of a new ball and racket sport flashed in the mind of Mr.Lotfy who started to play against his son and then playing two teams each consisting of two players, he tried these types of play with the members of his family, his wife and their five children (Nadia – Fadia – Hussein – Hadia and Ahmad) who were between the ages of 6 and 16 years of age. The gradual development of Speedball equipments: Mr.Lotfy kept on improving the equipments of the new sport and he called it “Beach-ball” as it was practiced on the beach as a recreation game like beach racket, the Lotfy family made some demonstrations to the people on the beaches of Alexandrea and after the success of the Beach-ball in attracting people from all ages to play it, Mr.Lotfy decided that it should be a sport and not only a game for recreation on the beach. The first official court was constructed 1n 1962 in the city of Port-Saiid where Mr.Lotfy was living at that time, The name of the new sport became the “Turning-ball” and strong competitions started and attracted the youth of Port-Saiid. Mr.Lotfy got the official Egyptian patent for his new sport in 1962 and published the rule of the game, at that time the rule was simple, as instead of the present plastic pulley there was a metal spiral so that when a player plays forehand he wins the game when the ball reaches the upper end of the spiral, while the opponent who plays backhand wins. The game started as a recreational game on the beaches of Alexandria (Egypt), it was then called “Beach-ball”. 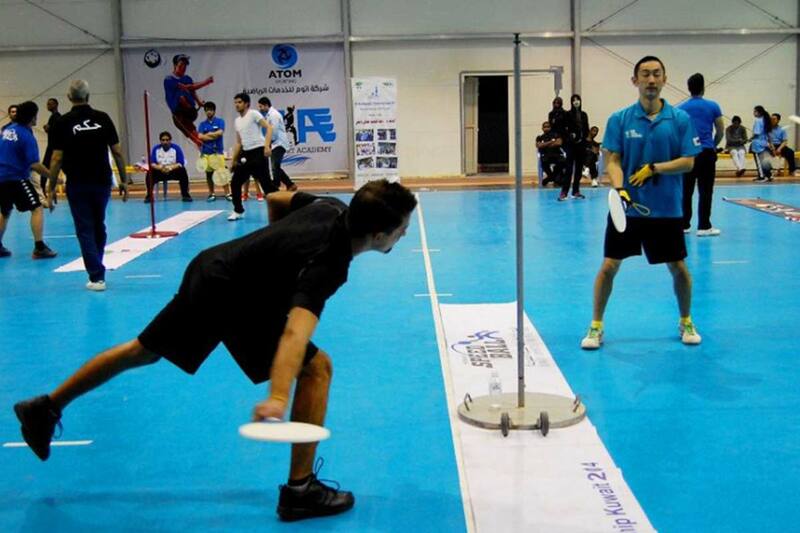 Mr.Lotfy started to develop the rules of the new ball and racket sport and named it the “Turning-ball”. The first official competition was made in the summer of 1962 in the city of Port-Saiid in Egypt. The Turning-ball was registered officially as a new sport invented by Mr. Mohamed Lotfy in Egypt in 1962. Mr,Lotfy gradually improved the equipments of the sport till it reached its present state and obtained the United states’ official patent for the new des sport in 1975 and it was at that time when he called the sport “Speedball”. 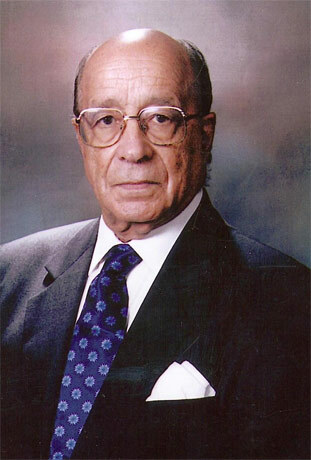 Mr.Lotfy founded the Egyptian Speedball federation in 1984 and started the all Egypt Speedball championship in the same year. In 1985 he visited several countries in Europe and Asia and made several demonstrations by Egyptian players, he founded the International Speedball Federation with joint efforts of Mr.Renee’ KIPPERT (the father of the FFEPMM) and Mr.DEMOLLIEN from France. Mr.LOTFY introduced Speedball to Japan when he gave a lecture and a presentation in the exchanging event of the summer Universiade held in Kobe, Japan in 1985. Now the president of FISB is Dr.Ahmad LOTFY (Mr.LOTFY’S son), and the vice presidents are Mr.Masakazu MORI from Japan and Mr.Gerald LECOMPTE from France. The first Speedball world championship was held in Cairo – Egypt in October 1986, then yearly after, except in 2001. The last (23rd) world championship was held in Cairo-Egypt in October 2009. The 28th Word championship was held in Tunisia in October 2016. © 2017 International Speedball Federation-FISB. All Rights Reserved.